It's the first day of the new year and I'm pretty excited about a new monthly card/tag making workshop I'll present at The Making Place in Escondido. 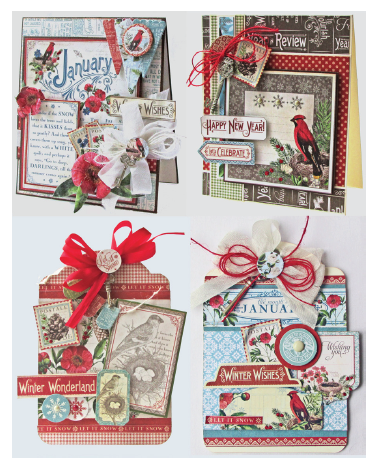 I'm using the **gorgeous** new line by Graphic 45 called "A Time To Flourish" to create two cards and two tags each and every month. Samples will be at The Making Place soon, as will the schedule for these monthly classes. I'm really looking forward to getting a great group of creative makers together for this series. More info coming soon! Ohhhhhhhhh these are just gorgeous!!!!!!! !